With mobile devices now a solid part of our daily lives, the quest for more battery-life is more important than ever. As a technophile I generally upgrade to the latest and greatest smartphone and tablets every year or so, and this means that my devices usually have the highest battery capacity available. My LG G4 has a 3,000mAh battery, but sometimes that is just not enough. Recently, I have been spending long nights at a haunted house that my company, Terror Tech, uses as its proving grounds. I am often there until 2am, with some nights running into three or even four in the morning. This means that my phone has to last for more than 17-hours without a convenient charging source. Thankfully, manufacturers know this and have developed thousands of different portable charging devices. 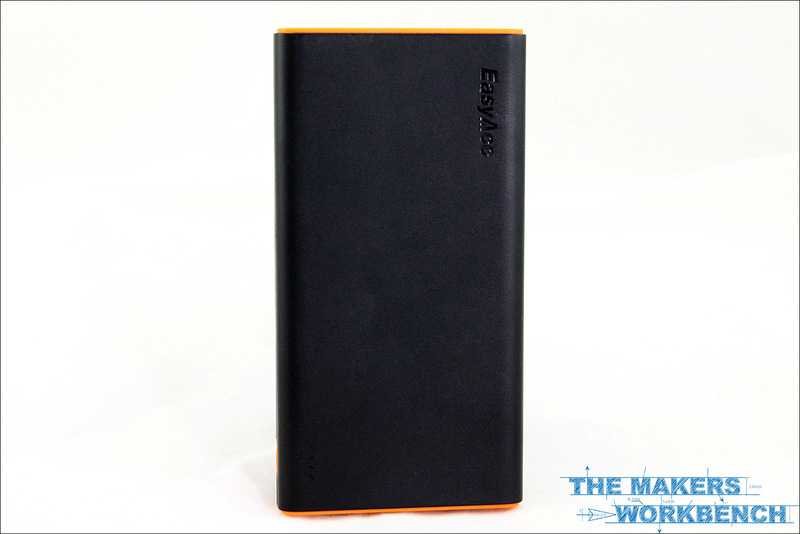 In this review we are going to take a look at the EasyAcc 2nd Gen. 10000mAh Power Bank. 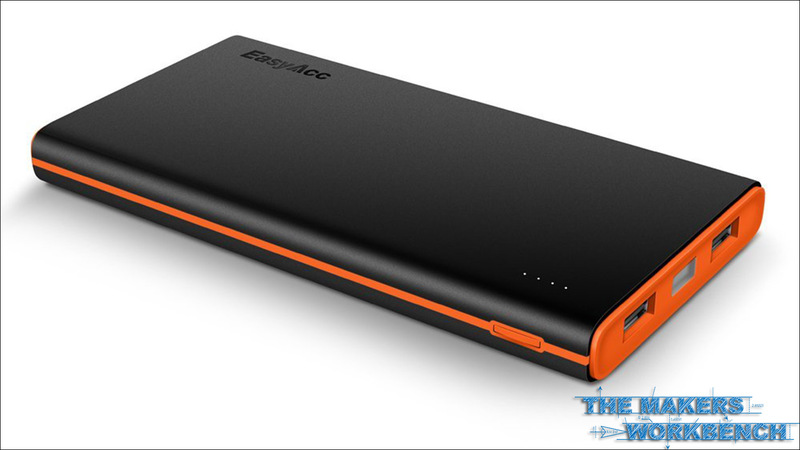 EasyAcc says that this portable charger features a 10,000mAh lithium-ion battery, and is capable of outputting 2.4-amps of current. 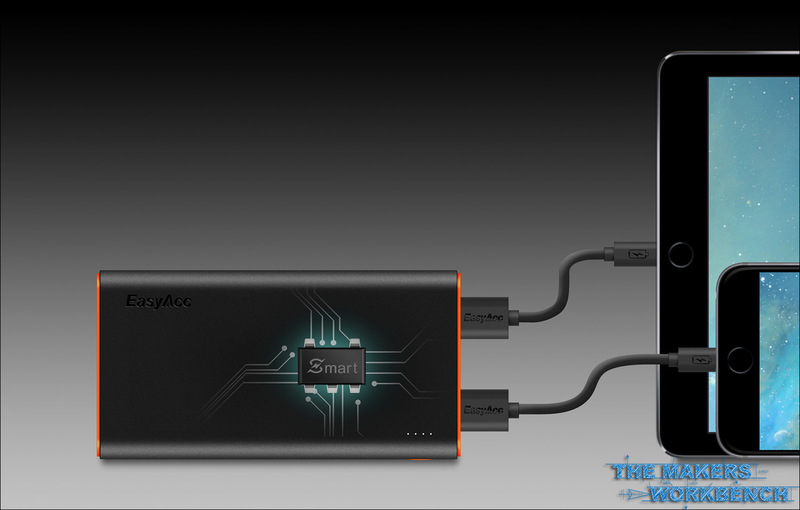 Additionally, the power bank features what EasyACC calls Advanced Smart Technology, a feature that automatically identifies the device connected and outputs the fastest current to achieve similar efficiency of the device’s original charger. 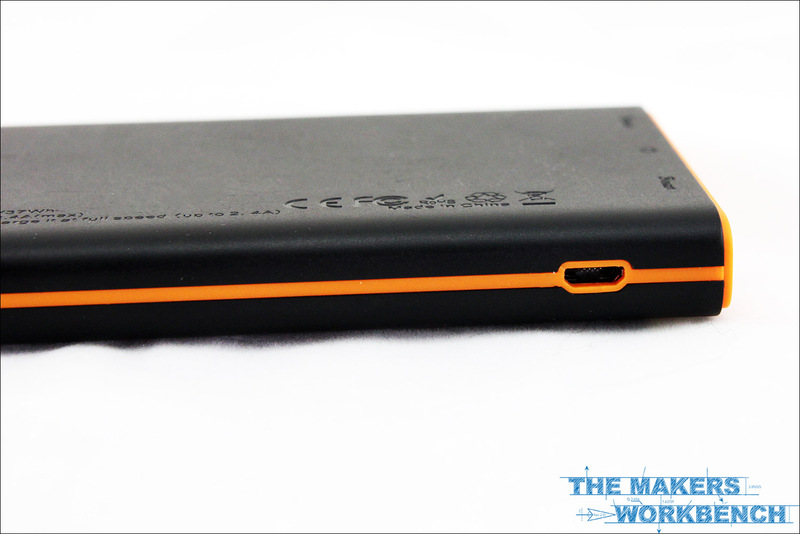 While I am not equipped to test this claim across many devices, I will be testing the current output of the charger later in this review, but before we get to that, let's take a look at the the official specifications of this 10,000mAh power bank. 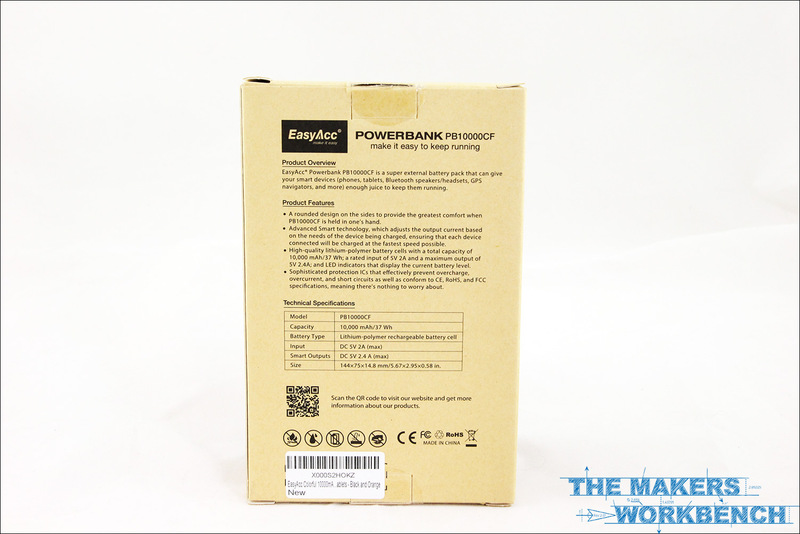 The EasyAcc PB10000CF PowerBank ships in a very minimalist recycled cardboard box with black print. I actually really enjoy seeing packaging like this as it shows that the company is focusing on saving money rather than spending it on flashy packaging, and tons of plastic. With everything unboxed we see that the power bank ships with a user manual and a very short USB cable. I am not a fan of such cables as I like to be able to place the power bank in my backpack or pocket and continue to use my phone while its charging. The PB10000CF 10,000mAh Power Bank is about the size of large smartphone, and is close in weight to an iPhone 6 or an LG G4. 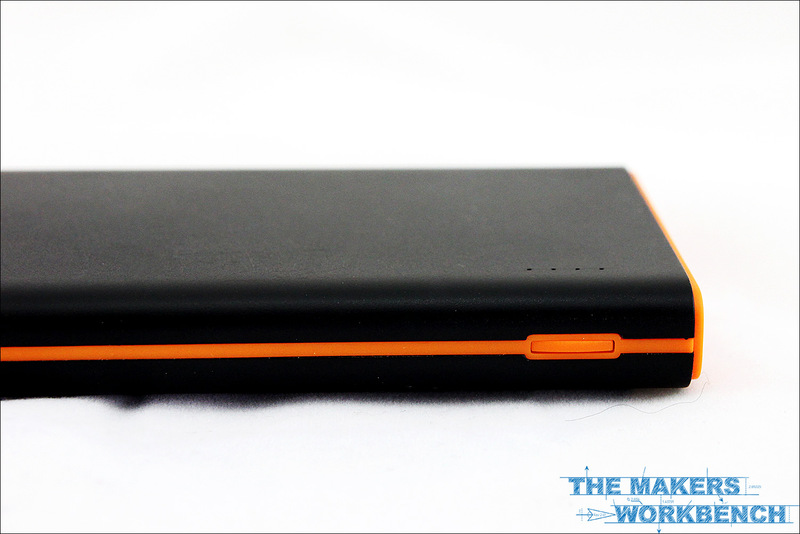 As you can see, I received the orange and black model, but the power bank is available in several different color combinations. 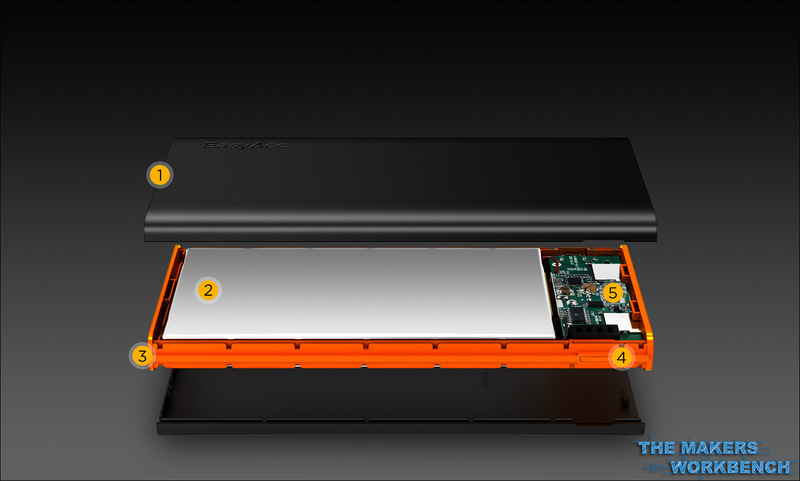 Taking a look at the business end of the power bank we can see that it offers dual charging ports and a small LED flashlight. 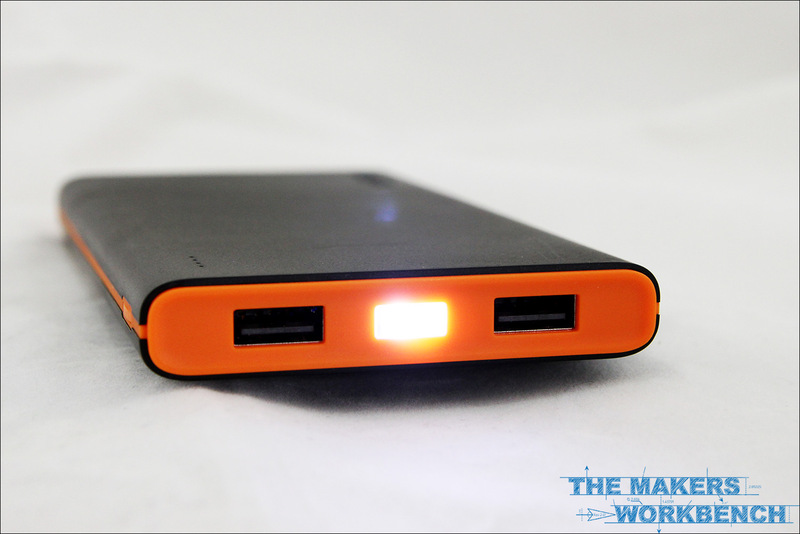 Pressing a small button on the side of the powerbank illuminates the LED flashlight. The light itself is not very bright, and no where near as bright as the LED light on my LG G4, but it would definitely serve its purpose in a pinch. Looking at the right-hand side of the power bank, you can see the button that turns on the LED light. A quick double press will turn the light on, and another quick double press will turn it off. Opposite the light button is the carging port. This port accepts a standard USB micro charger which allows it to be charged from any USB charging source such as the wall charger that shipped with your phone or tablet. 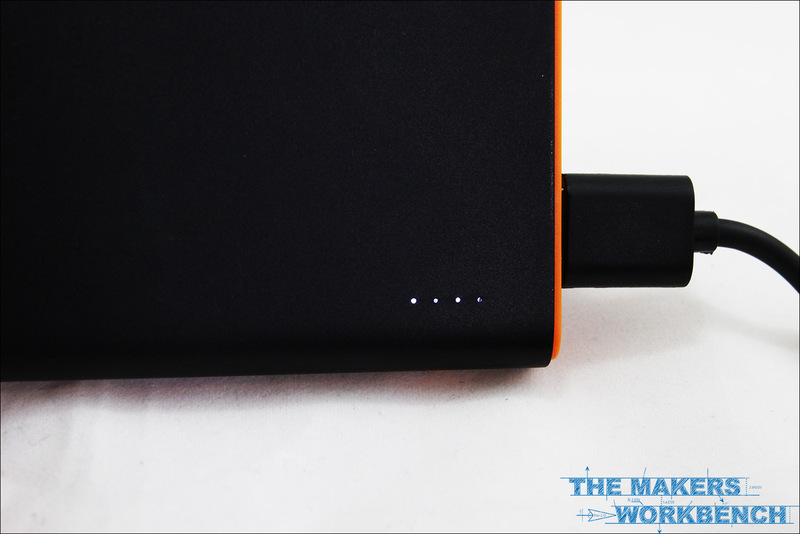 Finally, the powerbank features a four micro-light charge indicator. These small lights indicate the charge level, and stay illuminated when the power bank is in use. 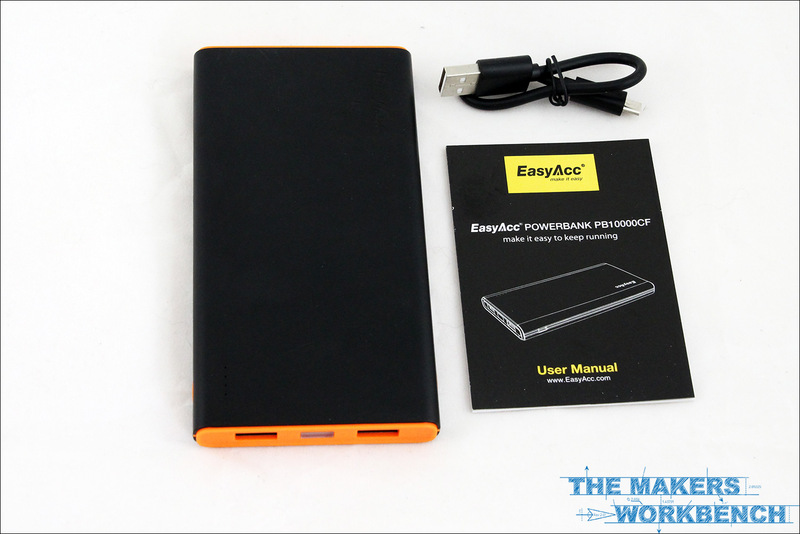 The EasyAcc 2nd Gen. 10000mAh Power Bank is quite similar to other 10,000mAh portable charging banks that I have owned, but I must say that it does have a very quality-feel to it. The plastic case is well molded, and its seams are very tight. The USB ports have just enough friction to them that the cables will not pull out on accident, and the included LED light is a nice touch. I do like the dual charging ports as this allows me to charge my phone and tablet at the same time, or share my portable charging capabilities with a friend. I will say that I do find myself sharing the extra port more often than I find myself charging my phone and tablet together. The USB cable that comes with the device is the perfect size if you need to charge your phone and place the power bank in your pocket, but I found myself using a longer cord so I could place the power bank into my backpack. One additional thing that I like about this power bank from EasyAcc is that it comes in multiple color options and even a 15,000mAh version. These features make this a very attractive power bank for families who might want to purchase several of the devices for their kids to use as it would make each power bank easily identifiable. As with all of my charging accessory reviews, I like to test the manufacturer’s claims of how much current it can actually deliver to the device it is charging. To test EasyAcc’s claim of 2.4A output, I am going to be using a Charge Dr. 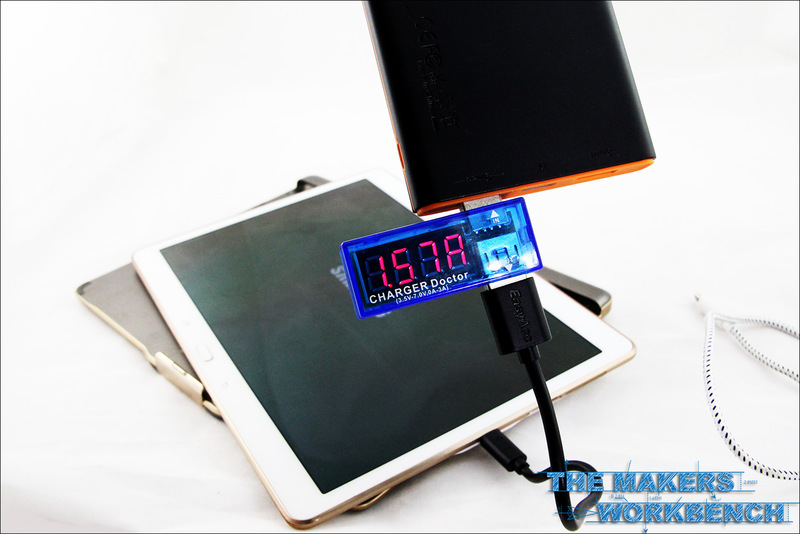 This is a small power meter that plugs between the usb charging port and the USB cable. 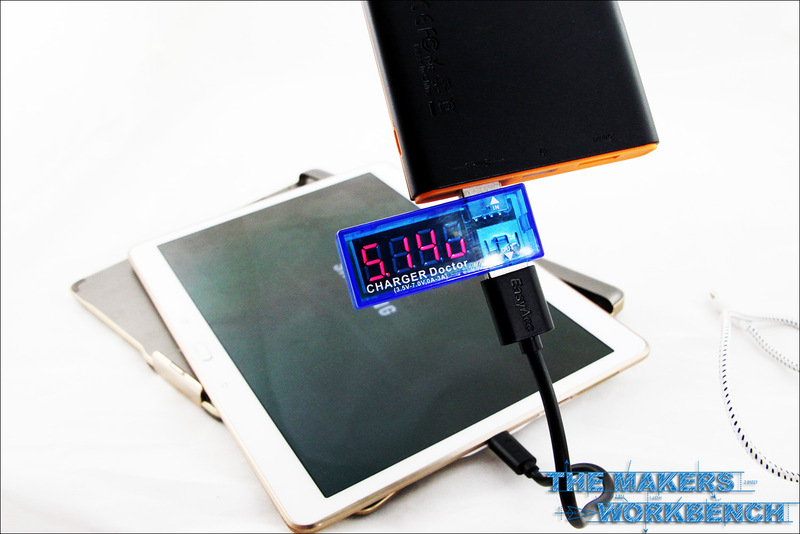 When the device to be charged is connected, the Charge Dr. begins displaying the current and voltage in real time. 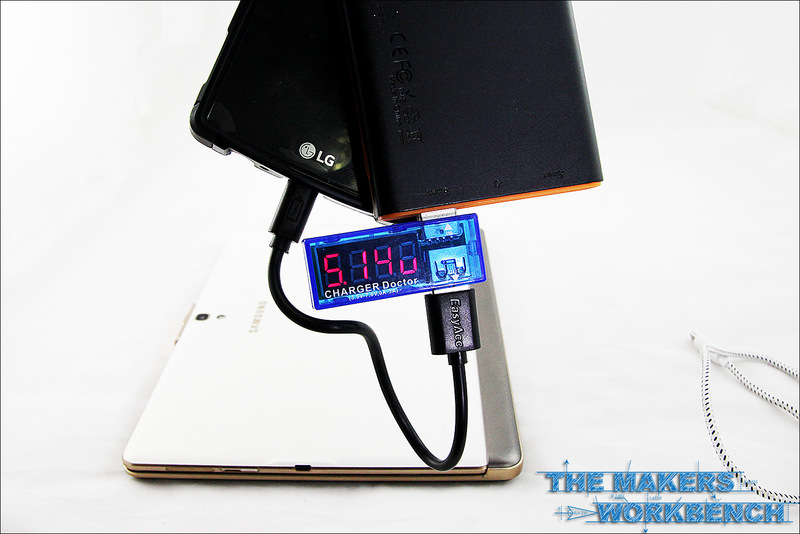 I am going to be testing the 2nd Gen. 10000mAh Power Bank across several devices including an LG G4 Smartphone, Samsung Galaxy Tab S 10.5, and a Raspberry Pi. 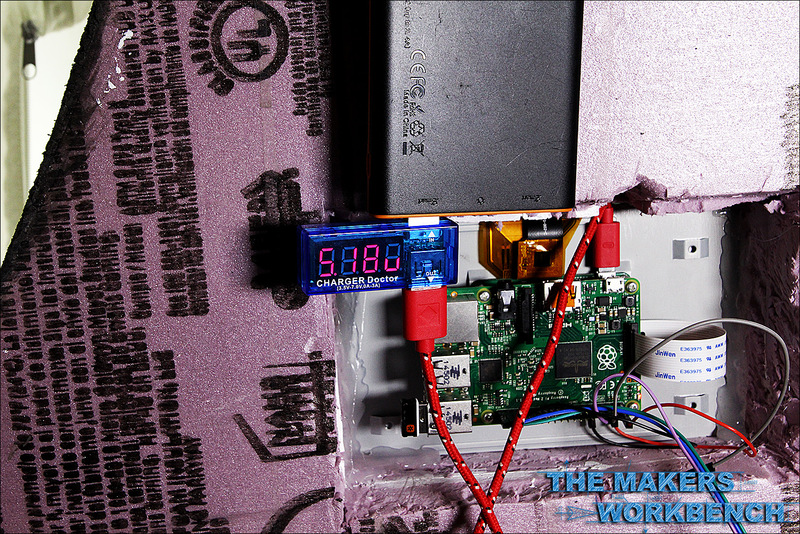 The Raspberry Pi is more for a reference in the event any makers would like to use this power bank to power their projects. As you can see in the image above, when connected to my LG G4 smartphone with a battery level of about 50%, the power bank outputs about 1.6A at just over 5V, which is on par with the factory charger outputs. When connected to my Samsung Galaxy Tab S 10.5 which is at about 3% power, and is rebooting, the power bank outputs about 1.5A at 5.14V. This is plenty of power to charge the tablet in less than an hour and a half. When connected to a Raspberry Pi 2 connected to the official Raspberry Pi 7-inch Touch-Screen, the power bank outputs about 0.70A at 5.18V. 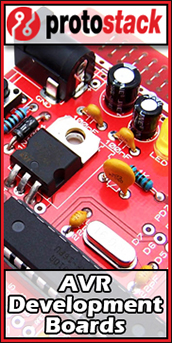 This leaves plenty of overhead to add more devices to the project, or to power more Raspberry Pi boards even! 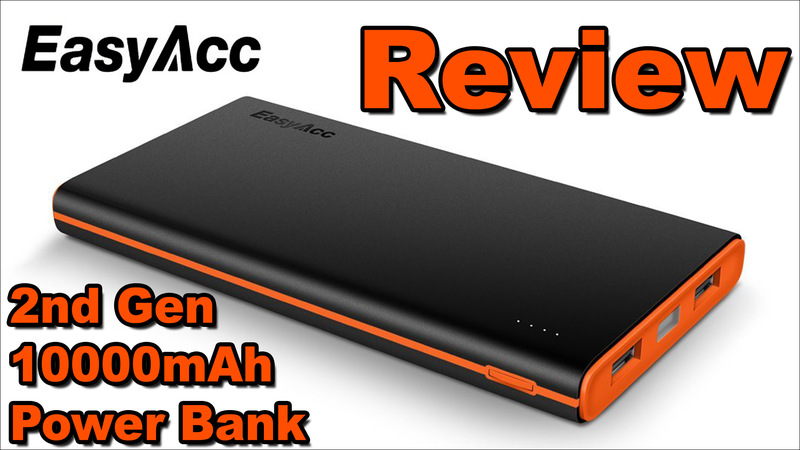 With the results in, I would say that the EasyAcc 2nd Gen. 10000mAh Power Bank is spot on with its claim of an output of 2.4A, and that it is more than capable of delivering enough current to power even the most feature-rich maker project for hours on end. EasyAcc says that power bank is capable of charging an iPhone 6 over 3.5 times, a Samsung Galaxy S6 2.5 times, and an iPad Mini 3 one time. 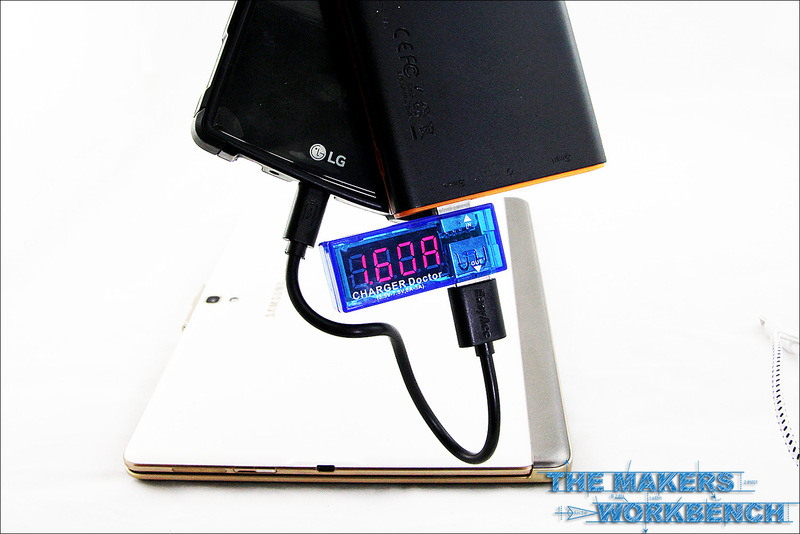 Personally, I am able to charge my LG G4 about three times with some capacity to spare if I needed to get out of a jam. I have used it to charge my phone as well as my friends Samsung Galaxy Note 5 at the same time, with both phones getting about half of their capacity restored within an hour. I recently used this power bank to power a Raspberry Pi project with servos at a science education event I was asked to demo at, and it ran the entire setup for more than 4-hours straight. When I packed up, the LED indicators showed that I still had about half of the power bank’s capacity left. This was very pleasing, and it actually outlasted my laptop which I originally planned on using to power the project. All in all I find the EasyAcc says that the 2nd Gen. 10000mAh Power Bank to be a very useful addition to my everyday carry setup. It’s 10,000mAh capacity is large enough to charge my phone a few times over, and still have some juice left in the event I need to use its built-in flashlight, or partially charge my phone. The availability of a second charging port is a nice adition as well because it lets me share the power bank with someone else without having to stop charging my device. Coming in at just under $20 on Amazon.com , makes this power bank one of the most affordable on the market today! It’s so cheap that I not only keep one in my backpack, but one in my car, and another on my workbench to power my Raspberry Pi and Arduino projects. 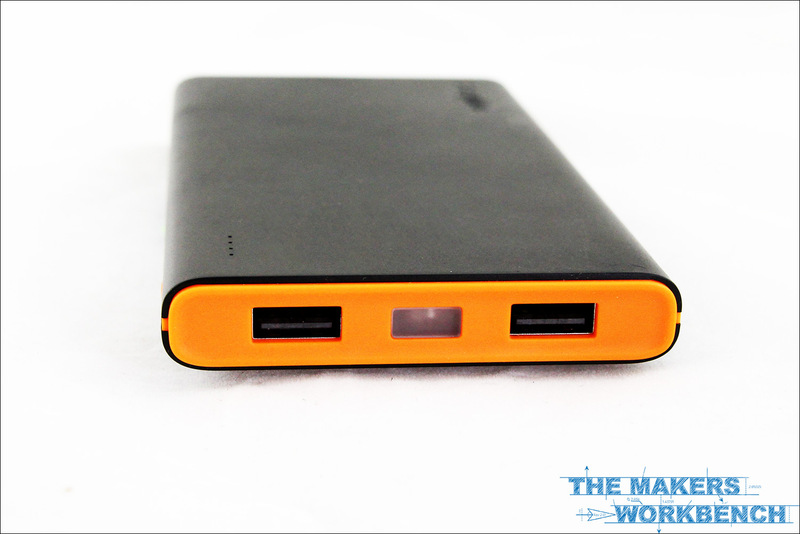 If you are in the market for a high-capacity, high-quality, and highly-efficient portable charging device, I can not recommend the 2nd Gen. 10000mAh Power Bank enough. I mean what else could you skip three coffees from Starbux and buy that offers you the ability to use your smartphone for more than two-days straight? 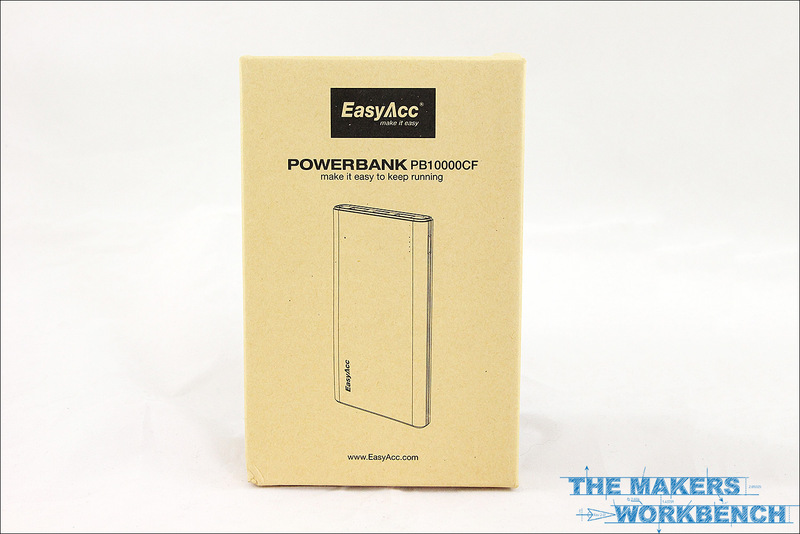 I am awarding the EasyAcc 2nd Gen. 10000mAh Power Bank our highest rating here at The Makers Workbench. The Editors Choice Award is reserved for products that we feel goes above and beyond our expectations based on the manufacturers claims. This award gives the product it is awarded to, our seal of approval, and we highly recommend that you consider owning one yourself! I did knock the PB10000CF a little on the build quality as its body is quite easy to scratch, and has accumulated more than a few just from being in my pocket and backpack. Thanks for taking the time to read this product review! If you have any questions, comments, or suggestions about how we could make our reviews better, please leave them below and we will be happy to respond! If you found this review helpful, or you would like to see more reviews like this, please consider supporting us by becoming one of our Patrons today at Patreon. Every donation counts no matter its size. Even $1 per month helps us keep the lights on, and the content flowing.